1. Does your child always have a snarky response for everything? 2. Does your child talk when they’re supposed to be quiet? 3. Does your child attempt to perform acrobatic ninja moves? 4. Does your child have an extreme fascination with ninja swords? 5. Does your child enjoy chimichangas (or other similar Mexican cuisines)? If you answered “yes” to any or all of those questions, then your child is most likely ready to become the Marvel superhero. It’s important to help support your child’s desire to be Deadpool and as their guardian, it’s your duty to get the outfit that will help them turn into Marvel superhero. That’s exactly what this deluxe Deadpool mask and top set is for. 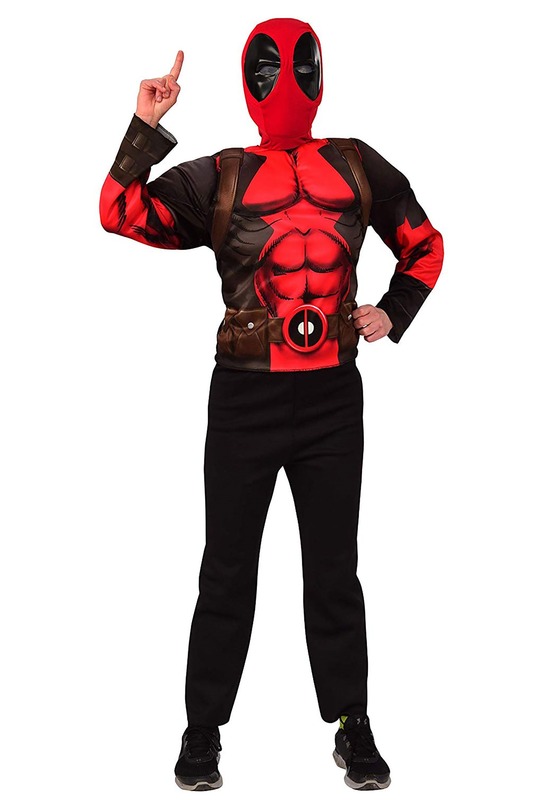 This officially licensed costume set comes with everything your child needs to look like Deadpool. It comes with a costume top that fits like a normal, long-sleeved shirt. The chest and arms have fiberfill muscles to give your child a buff and tough look! The front also has printed muscles to continue this beefy look. The mask fits over your child’s face and comes with mesh in the eyes for vision. You can take your child trick or treating in this outfit or send them off to fight any supervillains who might be lurking around in your neighborhood. If you really want to amp up the look, be sure to check out our full selection of Deadpool-style ninja weapons. They’re the perfect complement to his quick and easy costume set.